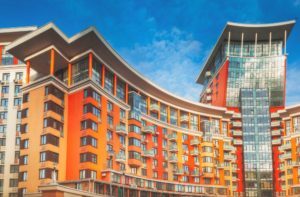 Is the property leasehold or commonhold and do you understand what this means for you financially? How much are the annual service charges, the ground rent and the insurance and what do they include? It is important to know what you are signing up to. How long is left on the lease? Once a lease falls below 80 years, it will become more expensive to extend and you may even find that mortgage companies refuse to lend. If you do purchase a short lease, you will not be able to extend it until you have owned the property for a minimum of two years. How much would the lease cost to extend and to what length would this be? Have you read the lease to confirm what you can and cannot do? Does the building allow pets, does it allow sub-letting, do you have use of the outside areas. Taking the time to read the lease could save you unnecessary problems in the future. Is there a freeholder in the picture or a right to manage company? It is good to know who is in control of the running of the block. Find out who the managing agents are and do some research. A good managing agent and a well-run block will greatly improve your enjoyment of your home. Are any major works planned in the near future? Obviously managing agents won’t be able to predict the future in case of emergencies or immediate damage but usually have an idea if the exterior needs re-decorating or roof works are due. Last thing you want as a new owner is to be unaware and get given a large build so soon into your new ownership. Too many people only concentrate on the inside of the flats when they view them, but take the time to view the communal parts, gardens and car park to see how well maintained they are. If you need the help of a RICS Managing Agent, then please call our Block & Estate Management Department on 01603 226500.